A few years ago, both Mom and I were instructed by our doctors to begin watching our sugar intake. Thankfully we were not diagnosed with diabetes, but we both have a sweet tooth. Luckily for us, there are products available that both fulfill our craving for sugary treats and help us to keep our insulin levels where they should be. 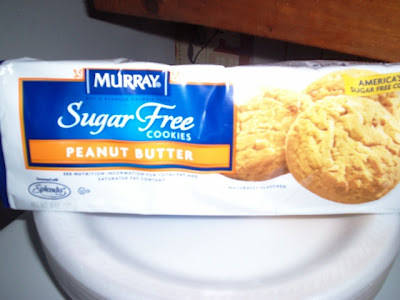 Billed as America's #1 sugar free cookie, Mom and I have tried a few flavors from the Murray company. The cookies are sweetened with Splenda, which sometimes causes more annoying issues (see: going to the bathroom) than if you just were to have something with regular sugar. However, these cookies have never given us - or anyone else we know - any problems. 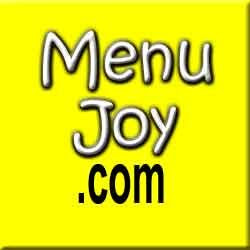 Plus, unlike most packages of cookies where the serving size is only one, this particular cookie flavor - peanut butter - allows you to have three cookies for only 150 calories (80 from fat). Because we like to have the occasional cream pastry and ice cream sundae on the weekends, it is important for us to keep healthier foods in the house so that our almost-perfect sugar levels can remain as so. THE VERDICT: Very tasty! A bit on the small side (which is why you are allowed three cookies per serving), they were a tad dry and a little soft. Mom says that this might just be because peanut butter tends to keep cookies flexible. However, they were extremely flavorful, which is probably due to the minced peanuts sprinkled throughout each cookie. Although they are sugar free, they are quite addictive, so make sure you take your serving and put the package back in the cupboard, or else you'll wonder what happened to your box of cookies. They only lasted two days at our house!